The concept of COMMUNICATION examines the role that communications play, using Big Understandings such as "We all have to communicate in some way", and "Communication involves both sending and receiving messages or information", through to Essential Questions such as, "What problems can lack of communication cause (e.g. prejudice)?" and "Why do messages sometimes get misunderstood?" 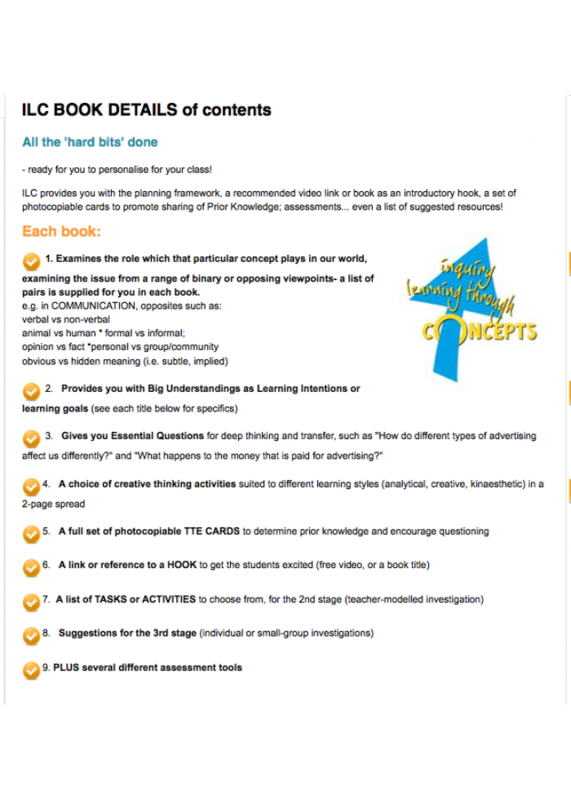 PLUS a choice of creative thinking activities, assessment tools etc. 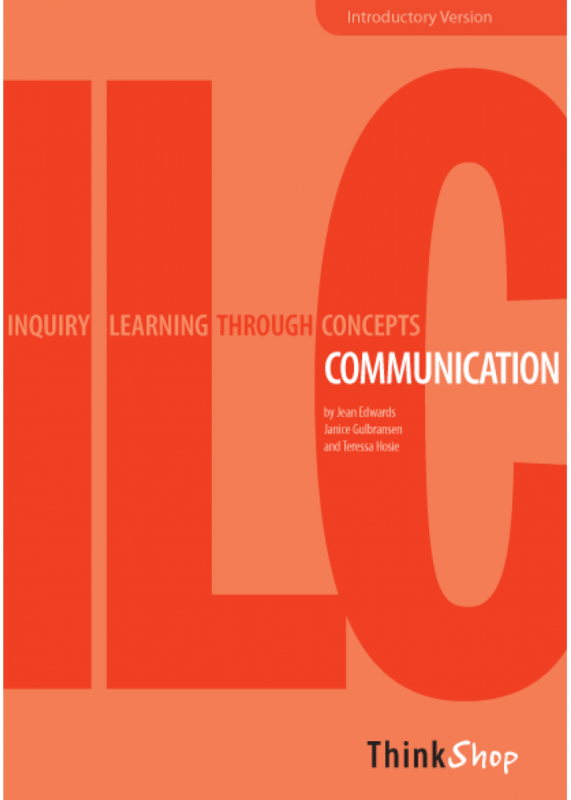 The concept of COMMUNICATION examines the role that communications play, using Big Understandings such as "Our ability to communicate affects our relationships" through to Essential Questions such .. Samples: Is a red rose a form of communication? A stifled yawn? Speech marks? ..